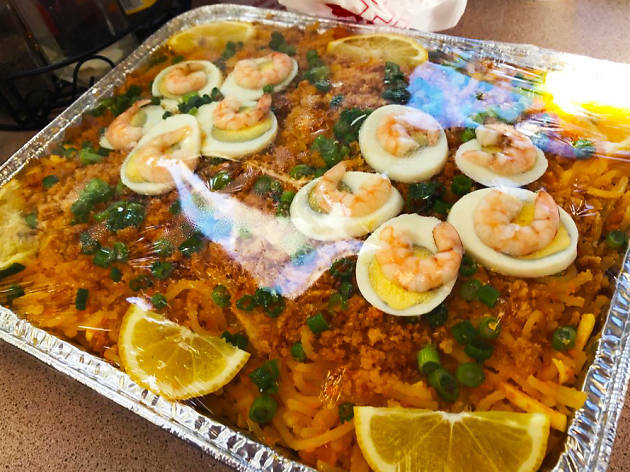 This Carson classic's slogan is "ONCE TASTED, EVER WANTED," and it's hard to argue with that once you've tried some of their traditional Filipino dishes. 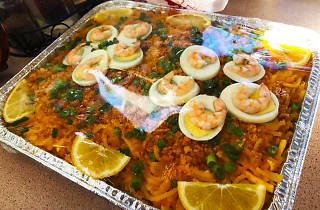 The signature item is the pancit malabon—thick noodles with seafood and hard-boiled eggs—which sits in daily-made, enormous trays that steam up the hot bar. Can't decide? Go for the combos.